BJP Parliamentary party meeting is now being held at the Parliament library building. 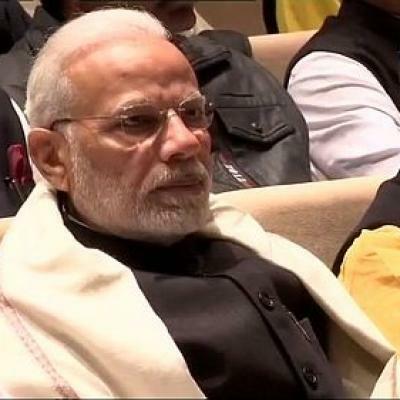 PM Narendra Modi, BJP Chief Amit Shah, Union Ministers Sushma Swaraj, Prakash Javadekar, Kiren Rijiju,Ravi Shankar Prasad, senior BJP leader Lal Krishna Advani, among others present in the meeting. BJP’s Madhya Pradesh unit chief Rakesh Singh has offered his resignation from the post taking responsibility for the defeat in the Madhya Pradesh polls, however BJP President Amit Shah did not accept the resignation and asked him to work hard.Shah will discuss the defeat in recent assembly elections in five states and plan an agenda for 2019 general elections. State presidents and state in-charges of BJP will be present in the meeting.